We’ve had an exciting start to 2018 with some fantastic news articles as well as new awards! Wine expert Matthew Jukes rounded up the finest English wines for the Daily Mail. Toppesfield is in the final section ‘Other Counties’. You can read the full article here. Aldermore Bank is dedicated to championing Britain’s go-getters, and we were honoured to be featured as their Go Getter of the Week. We chatted about how our vineyard started out, what inspires us and our proudest moment to date. You can read the full article here. 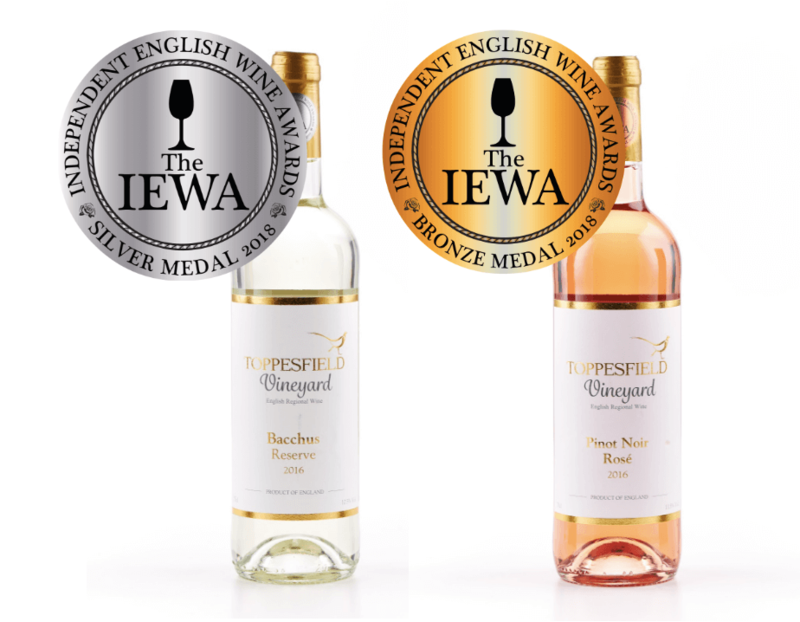 The results are just in from the Independent English Wine Awards (IEWA) and we are delighted to have been awarded a Silver medal for our 2016 Bacchus and a Bronze for our 2016 Pinot NoirRosé. With the awards already won from the UK and East Anglian Vineyard Associations and from Decanter, the IEWA competition is another affirmation of the excellence of our wines which we hope you will enjoy as much as we do.